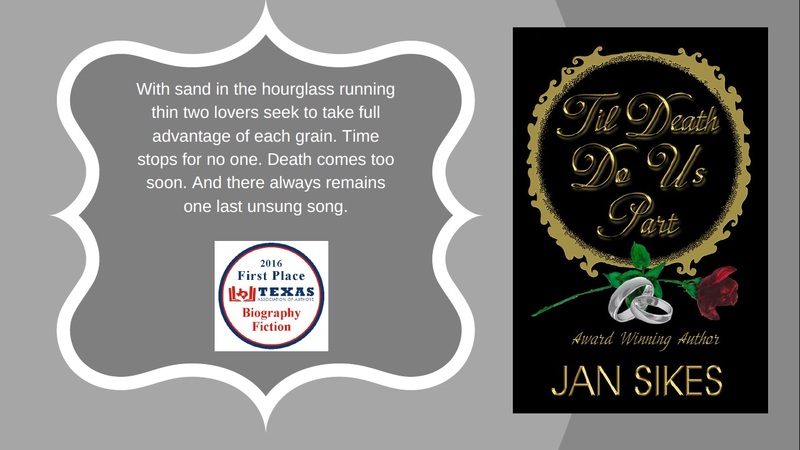 I’m thrilled to host a stop on Jan’s Spotlight Tour! 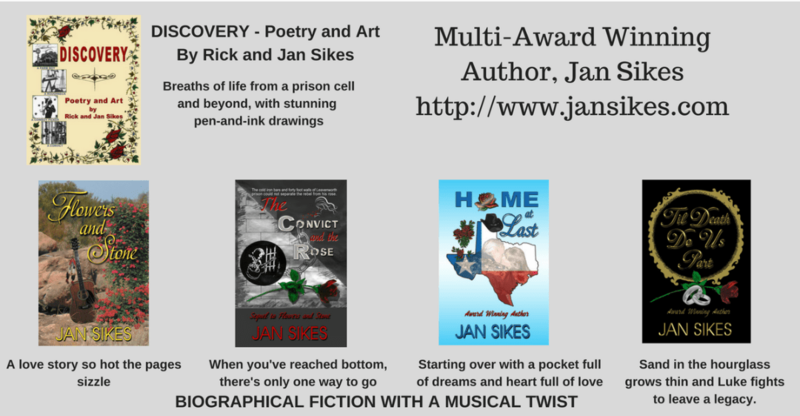 She has written a very personal series of books about her life with her musician husband. Today, she tells us a little bit about the last one. The fourth and final book of the series has been my slowest seller of all. Perhaps it is because people don’t want to read about death. But, the book is not about death. It is all about living and grabbing the most out of every moment. It is a reality, that if we all live long enough, we’ll face a time when our health deteriorates as did Luke’s. But, what we do with the time we have left is perhaps one of the most important decisions we’ll ever make. Luke grew more determined to leave behind something lasting with each setback. He forged ahead and accomplished amazing feats even when he was confined to a wheelchair. As I watched him, I would often be amazed at how each time a new obstacle arose, he found a better way around it. From building a recording studio, to making custom guitars and teaching children how to play guitar, he never stopped. I don’t care how you slice it, that is inspiring. I can only hope to have his fortitude as I face the final years of life on earth. If you read the book, you’ll discover this prophecy came true. Veteran Texas musician, Luke Stone, has cheated death more times than he cares to remember. He’s been everything from a simple farm boy to a rowdy roughneck, a singing star to a convict and finally a husband and father whose goals consisted of building a home and raising a family…which he did. Now, with a chance for a second music career, he knows the sand in his hourglass is running thin. His anchor in life and true love, Darlina, stands at his side determined to help make the dream a reality. But, his aging body is sabotaging every effort and the only thing that keeps him going is sheer will-power and the love he has for Darlina. When faced with being confined to a wheelchair for the rest of his life, Luke draws on every resource to continue to function and contribute to their home and to society. 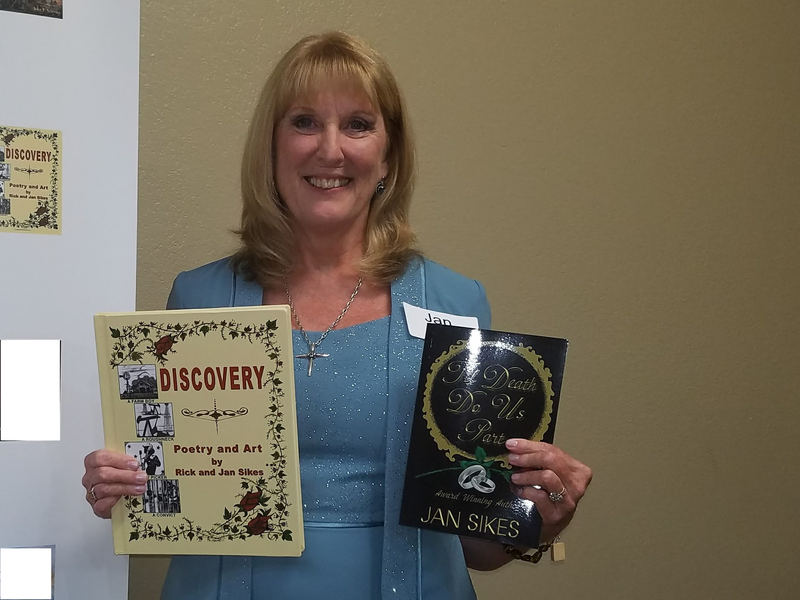 Again, thank you for taking this RRBC SPOTLIGHT AUTHOR tour with me. I appreciate your company and comments! See you at the next stop. Thank you so much for stopping by on this beautiful Friday. I plan to be back soon, although I have no clue yet what I’ll be writing about.